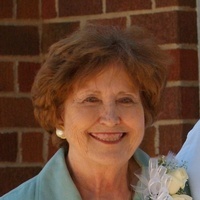 Barbara Halfmann Frey, 74, affectionately known by many as “Ducky” and “Granducky” to her beloved grandchildren, passed away Tuesday, April 9, 2019 at Regency House in San Angelo, TX. She was born October 24,1944 to A.T., Sr. and Lena (Gerngross) Halfmann of Olfen. After graduating from St. Joseph High School in Rowena, she attended Cosmetology school and worked as a beautician. Ducky married the love of her life, Clifford Frey, on July 23, 1966 in Olfen and they shared almost twenty-two years together before his unexpected passing on May 15, 1988. She and her brother Alan continued to operate Frey Cattle Company and later she became a shareholder in Saginaw Flakes in Saginaw TX. Barbara will always be remembered for her smile, her friendship, and for her love of taking afternoon naps!! Mom loved to garden, make beautiful quilts and anyone who received one of her quilts will cherish it forever. She was an active member of St. Mary Catholic Church and cherished the many friendships she had with fellow parishioners. Barbara was preceded in death by her husband, Clifford; her parents, A.T. Halfmann, Sr. and Lena Halfmann; sisters, Laverne Gully and Bernice Wenetschlaeger; brother, A.T. Halfmann, Jr.; brothers-in-law, Alex Halfmann, and B.J. Gully, Sr.; and her father and mother-in-law, Gus and Mary Frey. Surviving family who will miss her dearly are her children, Marty Frey and wife, Lesli, Jody Frey, and Amy Frey-Garza; her beloved grandchildren, Austin Frey, Logan Frey, and Cade Garza; her sister, Geraldine Halfmann; her brother, Alan Halfmann and wife, Marilyn; sister-in-law, Kathy Halfmann; brother-in-law, Jack Wenetschlaeger and wife, Joan. Also surviving in-laws include Will and Rita Frey, Jimmy and Janie Lange, John and Carolyn Williams, Charles and Judy Frey, Debbie and John Lytle, Rodney and Tamra Frey, and Doug and Kathy Frey; and a host of nieces, nephew, cousins, and dear friends. Special thanks to her devoted caregivers, Marlene Harrell, Louise Walker, the nurses and staff at Regency House Care Center. Rosary will be recited at 6:00 pm on Thursday at St. Boniface Catholic Church in Olfen. Mass of Christian Burial will be at 3:00 pm on Friday at St. Boniface Catholic Church with burial following in St. Boniface Catholic Cemetery with Father Ariel Lagunilla and Father Hubert Wade celebrating. The family request memorials be made to Meals on Wheels, The Food Pantry, or a favorite charity.